On his third voyage to the New World in 1498, Columbus sailed by Grenada and named it Concepcion. The British attempted a small settlement in 1609, but it was the French that successfully battled the cannibalistic Carib Indians, finally driving them off the island in 1651. Military and political struggles continued on the islands for two centuries, with Grenada finally becoming an independent country in 1974. 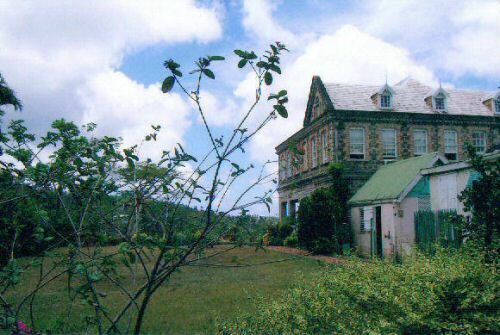 Then, in 1983, Grenada was seized by a Marxist military group. This action facilitated an invasion by US forces and those of six other Caribbean nations; they captured the ringleaders and hundreds of Cuban advisers and free elections were reinstituted the following year. 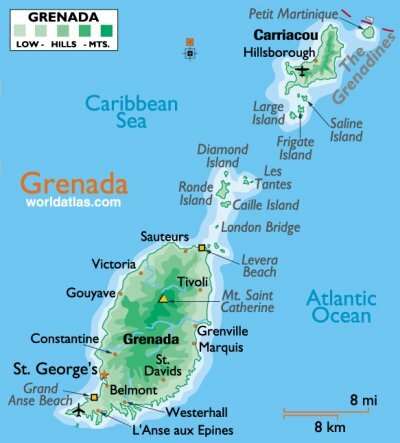 Grenada (the country) includes the large island of Grenada, and a few islands on the southern edge of the Grenadines, with Carriacou and Petit Martinique the most significant. 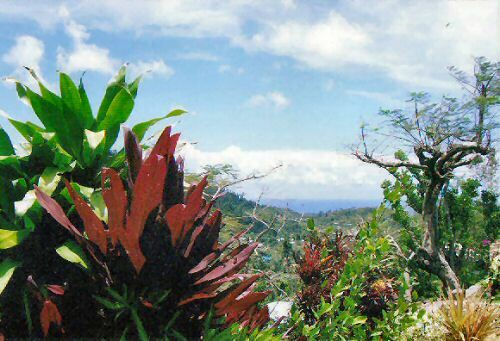 Volcanic in origin, Grenada is dominated by a central ridge of mountains, all covered with lush rainforests. 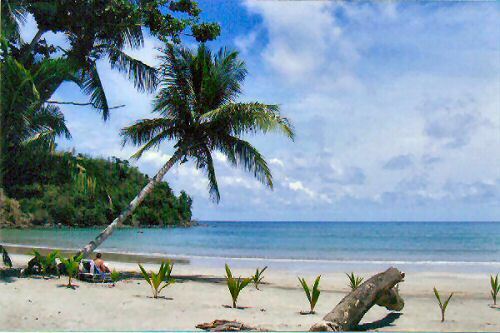 The island is blessed with numerous bays and harbors, and some of the best beaches in the Caribbean. Once famed only for its indigenous spices (namely mace and nutmeg), Grenada's modern focus is tourism, and the islands are deservedly garnering the attention of the travel industry.